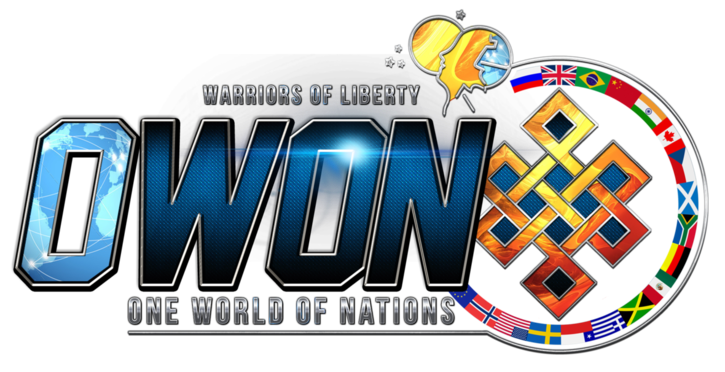 OWoN: A further example of the Cabals murderous regime with Colonel James Sabow. How much will it take to bring down these viperous scum? Today's Abel Danger discussion concerning the murder of Col. James Sabow on January 22, 1991 on Marine Corp Air Station El Toro with the following bullet statements published herein as discovery in the court of public opinion. The following bullet statements 1 and 2, come from evidence provided by two excellent forensic analysts. Bullet statements 3 through 6 describe activities and evidence of key individuals in the massive cocaine smuggling operations facilitated by the US Government when George HW Bush was vice president or president. These events eventually led to the murder of Col. James Sabow and others when billions of dollars in drug trade were involved. The coca plant is indigenous to Peru and the Plurinational State of Bolivia, and these two countries produced most of the world's coca leaf from the 1960s until the mid-1990s. 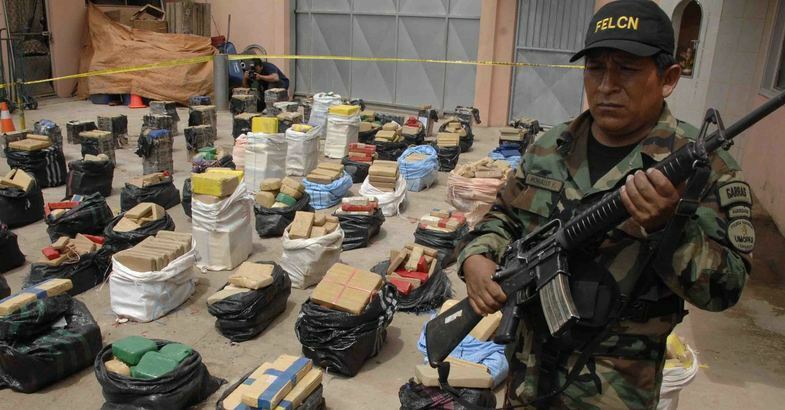 The United States accounts for more than 40 percent of total cocaine consumption. 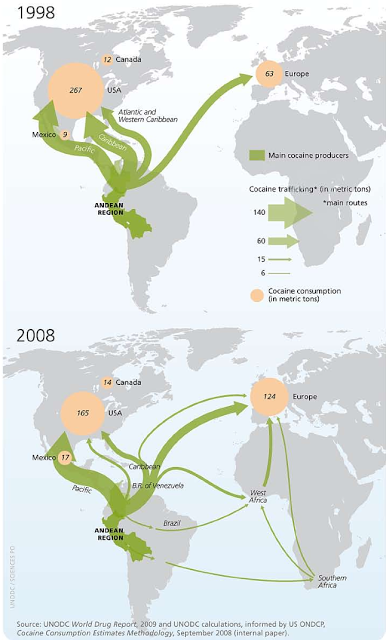 The value of the cocaine world-wide market in 2008 was at US$88 billion dollars (US$38 billion consumed in the U.S.). The year Col. James Sabow was murdered in 1991, the United States was consuming 355 metric tons of cocaine. The previous year 1990, 447 metric tonnes were consumed. Was this just over 100 metric ton sudden drop in cocaine consumption between 1990 and 1991 in the U.S. due to blowback after the murder of Col. James Sabow? Col. James Sabow was right in the middle of a large cocaine transshipment point located at El Toro Marine Corp Air Station. First, who was Col. James Sabow? Who was Colonel James Sabow? • Married for twenty-three years to Sally Townsend of Tucson, AZ. • Within 30 minutes after body was discovered, brother of victim was informed that his brother committed suicide. 1. Dr. Werner Spitz, Pathologist: In 2010, Dr. Spitz provided a sworn affidavit provided to NCIS Cold Case Special Agent Julie Haney stating that the certification of suicide of Colonel Sabow's violent death by Orange County was a rush to judgment based on erroneous assumptions and that the death should have been ruled a homicide. Dr. Spitz's affidavit noted a depressed skull fracture in the back of the head, the crime scene was tampered with, serious doubt of the coroner's certification of death as suicide, evidence of blunt trauma [the depressed skull fracture; see link below] and shotgun injury supports that an assault must be considered and crime scene tampering. Within several days, Dr. Spitz orally withdrew his sworn affidavit in a without objection from the NCIS. Was Dr. Spitz pressured to withdraw his affidavit and why did Julie Haney not pursue the sudden and expectant change from Dr. Spitz? Interference with a federal investigation of death is a felony. The FBI could have been requested to interview Dr. Spitz but Haney accepted the change as if it was expected. Why did the FBI not interview Dr Spitz and what was said to Dr Spitz to change his mind. Why was Dr Spitz Affidavit ignored when it was never legally withdrawn? 2. Bryan Burnett, Forensic Expert: Burnett reported that a 'doctored autopsy photo' was initially provided in discovery by the United States Department of Defense in 1993, used for trial in Federal Court (Central District of California, SA CV 93-991) and submitted in an investigative report on the death of Colonel Sabow to the United States Congress in November 2004. The 'doctored autopsy photo' was included in an official report submitted by Jon J. Nordby, Ph.D., Final Analysis and Forensics, entitled, “Colonel James E. Sabow, Death Investigation & Evidence Analysis," dated November 7, 2004. The Nordby report was submitted to Mr. John Awtrey, Director, Law Enforcement Policy and Support, Office of Undersecretary of Defense, Mr. Charles Abell, Assistant Secretary of Defense, and Congressman Henry Hyde, Chair, The House Armed Services Committee. Nordby's investigation was completed under Federal Contract HQOD95-04-C-0022. Burnett noted that digital analysis of a high resolution image of the questioned photograph shows that it was likely the result of manipulation, either in the darkroom or, less likely, image processing and that only DOD had the technical capability to forge the autopsy photo. We believe Nordby was a shill; not nearly as well qualified as Spitz or Burnett. How does NIS and NCIS explain the shoddy scientific method (or the lack of any scientific method) by Nordby as compared to Burnett and Spitz' very high level of expertise and scientific method and use of proper evidence? 3. Enrique Kiki Camarena, DEA agent and former Marine: Kiki was following the money trail of cocaine trafficking into the US when he was kidnapped, tortured and murdered in Mexico in February 1985. Quintero was convicted of Kiki's murder but freed from a Mexican prison in August 2013 after serving 28 years of a 40 year sentence. Fifteen months later, the court reversed its running but Quintero’s whereabouts are unknown. 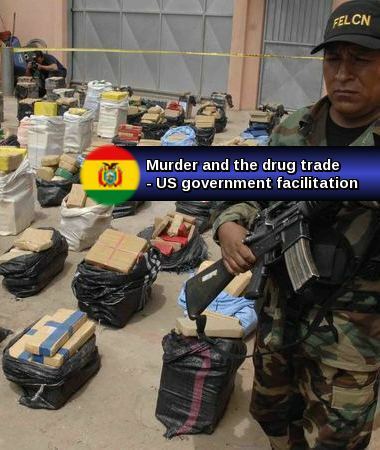 In October 2013, the Borderland Beat reported that Camarena was murdered on orders of the CIA because he had discovered the connection of drug trafficking and its profits to support the "counterrevolution" (the Contras). The motive for the murder was to prevent him from blowing the whistle on narcotrafficking of cocaine into the US to fund the Contra War in Nicaragua, according to El Diario de Coahuila and Proceso, the two Mexican newspapers who first broke the story. Col James Sabow was murdered to prevent his blowing the whistle on narcotrafficking. Therefore, who ordered Kiki's murder and who ordered Col Sabow's murder? 4. Hector Berrellez, Kiki's DEA supervisor: Berrellez headed up the DEA's investigation of the Camarena’s murder. The CIA or their contract workers were present and involved in the murder. During his investigation, he discovered that some members of a US intelligence agency, who had infiltrated the DFS (the Mexican Federal Security Directorate), also participated in the kidnapping of Camarena. Two witnesses identified Felix Ismael Rodriguez. The witnesses were with the DFS and said that Rodriguez had identified himself as US intelligence. Was Rodriguez' ordered by the NSC to find out what Kiki knew and make certain he did not pass it on and who helped him (George H W Bush 41 and Donald Gregg) and what role did they play. Was Rodriguez to find out for the NSC what Kiki knew and make sure he was killed and who was involved? 5. Felix Ismael Rodriguez: Rodriquez, born in 1941 in Cuba, was a rabbit anticommunist, an early recruit for the CIA, involved in the Bay of Pigs, became a naturalized citizen, joined the US Army, served in Vietnam flying choppers and in the Phoenix program. Rodriquez claimed responsibility for the capture of Che Guevara, a major Cuban revolutionary figure, in 1967 in Bolivia. Guevara's was shot and killed by a Bolivian solider. Rodriquez kept Guevara's Rolex watch as a war souvenir. Rodriquez maintained close connections with Donald Gregg, his CIA supervisor in Vietnam, who served as national security adviser to Vice President George Bush from 1982 to 1989. In 1985 and 1986, Rodriquez was working for the NSC, running the Contra re-supply effort out of Ilopango Air Base in El Salvador. Rodriquez involvement in illegal drug trafficking is supported by sworn testimony of retired DEA agent Celerino "Cele" Castillo. Rodriquez was never charged with narcotrafficking and there's no chance that he or anyone else will be charged with the murder today or will any Congressional oversight committee question the CIA on how they obtained the tapes of Kiki's torture and murder. Rodriquez was in charge of Oliver North's hangar at El Salvador Air Base why was he not charged with narcotrafficking and what about North? 6. Celerino "Cele" Castillo, retired DEA agent: Had years of experience in fighting drug trafficking in Central and South America, Castillo was familiar with the operations at Ilopango; he was stationed El Salvador in 1985 and reported the use of the airfield to fly illegal drugs into the US. His testimony in 1998 before The House Permanent Select Committee on Intelligence connects the Reagan administration to illegal narcotrafficking of cocaine. Castillo took off the gloves and named George H. W. Bush as the "kingpin" for the narcotrafficking of cocaine into the US. Castillo wrote that the Boland Amendments curtailed funding to the Contras and the Vice President George H. W. Bush "entered into an agreement with the Columbian drug cartels to exchange guns for drugs. The proceeds of the drug sales in turn were used to secretly fund the Contras." His indictment on his website contains information supporting this charge. Of course, in the real world this indictment never happened; no grand jury heard any evidence of narcotrafficking and the statute of limitations has expired long ago. http://www.powderburns.org/indictment.html More than El Toro was involved with this drug smuggling operation, so what are the forces that caused the USMC Generals to abdicate their responsibilities and their Oaths? 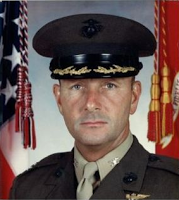 • Lt. General Hollis Davidson, Inspector (IG) of the Marine Corps: You visited MCAS to El Toro in Jan 1991with the intention to shut down an illegal cocaine trafficking operation that was a serious embarrassment to the Marines. In comparison, cocaine trafficking would have made the Parris Island River Creek deaths of Marine recruits a 'minor traffic ticket' and could have resulted in the irreparable damage to the Marine Corps and the US Government. Your cover story was to investigate the personal misuse of government aircraft but that didn’t pass the litmus test of every Marine pilot. What about Colonel Joseph Underwood? Did he order the disappearance of the MWR computer files; so why did you waste your time with ridiculous charges against Colonel Sabow? Did you let a cover-up impair your judgment? 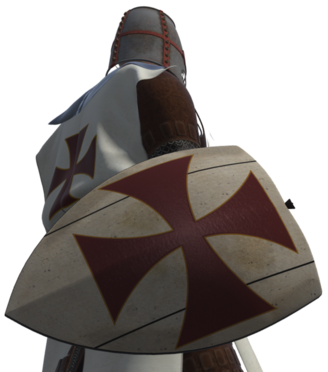 What were you thinking and what's going on with violating your Oath? • Lt. General Hollis Davidson, IG of the Marine Corps: Acting on innuendo and rumors, you alleged that Colonel (Col) Sabow misused government aircraft when your staff had access to TDY orders and aircraft logs that showed there was no basis for these allegations. Instead, you placed a senior Marine Corps officer with 28 years of service in the position of accepting false charges or requesting a court martial, if formal charges were made. Were your highly questionable actions a deliberate attempt to remove the senior leadership at El Toro and to shut down an illegal covert operation which continued to run cocaine into the base? Only after removal from his position did Col Sabow learn of the cocaine flights into the base and threatened to blow the whistle at a court martial. Were you that naive to allow ridiculous charges harm the career of a dedicated Marine Colonel? How do you account for the three Marine Colonels and other personnel that died or were transferred as a result of the murder of Col. Sabow and what steps did you take to investigate these heinous crimes? • Brigadier General (BGen) Wayne Adams, Commanding General, El Toro: You removed Col Sabow from his duties, pending an investigation of misuse of government aircraft when you knew he was not certified to fly the aircraft and had TDY orders as a trainee with an certified instructor pilot. Anyone with average intelligence knew that. You knew the allegations were false and Col Sabow would never agree to accept false charges and request a court martial to clear his name. Was Colonel Underwood actually running MCAS El Toro and if so how do you account for his unusual actions before Col Sabow was murdered? On what basis and what data did you use on 1/22/1991 to determine manner of death was suicide without having evidence? Did Underwood's call to you influence your opinion? 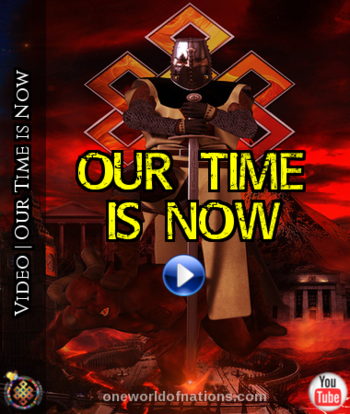 • General John K. Davis, retired Deputy Commandant: Col Sabow placed a 65 minute telephone call to you the night before he was murdered. He told you (his wife was witness) that he just learned that CIA proprietary C-130 aircraft were flying cocaine into the base; this illegal activity must stop and if the Corps filed formal charges of misuse of government aircraft, he would press for a court martial and blow the whistle on illegal narcotrafficking. You assured him everything would be alright and you would personally talk to BGen Adams and not to worry. He was murdered in his quarters (backyard) the next morning. What did you say or do to get Col. Sabow, a Marines' Marine murdered and what did you do to ensure a proper investigation? What did you say to Brig. Gen Adams and what was the nature of that conversation? • Brigadier General Wayne Adams: You drafted a suicide message to the Commandant of the Marine Corps over 8 hours before Col Sabow was murdered in his quarters. Did you get a 'heads-up' of the planned murder, in a panic, rush across the street to your Headquarters, draft an incomplete suicide memo and schedule a staff meeting for 08:00 the following morning when you normal routine was not to come to work until 10:00? Was it your plan for the earlier staff meeting time to be in position to receive the phone call of Col Sabow murder and ensure that all activity was in place to support a suicide scenario? Do you know (You should know) that you don’t have to squeeze the trigger to be charged with murder and there is no statute of limitations on homicide. • Cheryl Baldwin, NIS Agent in Charge, Col Sabow crime scene: You allowed three civilians to entry the crime scene on the morning of Jan 22, 1991, flash their badges, and permitted them to order everyone off the crime scene and wait across the street until told to return with the exception of you and Burt Nakasone, NIS forensic expert. You then participated with the intruders in cleaning up the crime scene. In doing so, you are guilty of conspiracy to commit murder, crime scene tampering, and filing a false NIS investigative report. As you should know, these illegal activities are felonies. Who ordered you do tamper with the crime scene? What rationale did you use to justify committing several felonies? Who participated with you? Who were the three unidentified persons who flashed their badges and caused your felonious actions? What were your interactions with Col Underwood on 1/22/1991? Who assisted your contaminating the crime scene and who directed you to claim suicide when you knew it was obviously homicide? If you knew it was suicide then why did you permit the crime scene to be changed and the chair placed on Col Sabow? Why did you ignore Sally Sabow's comments about the condition and status of Col Sabow's body and the fact that the chair was not on him until later in the morning? All courtesy of Texian and the least we can do to support you all. Your voices carry worldwide. Even in Russia.